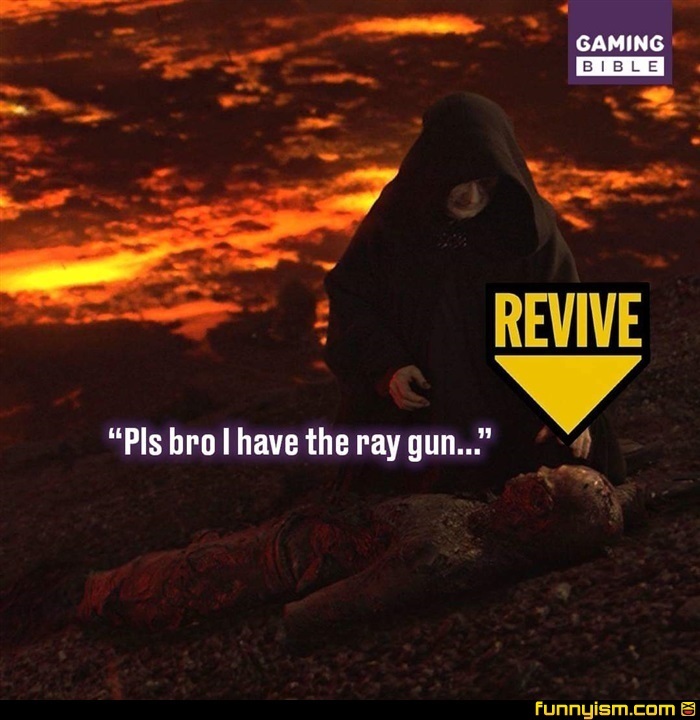 If you die with the Ray gun you aren't good enough to be worth reviving. @Qwerky Keyboard, I don't get the reference, but I love the comment. @TheSlowestOfTrains, I don't think it's a reference, it's just how i play. If you go down with the Ray gun, I'm not reviving you. "When you get up, you better start start shooting"